The shopping centre is located on Leväsentie street. Clearly visible from the busy Highway 5, the shopping centre will be seen by 40,000 motorists every day. 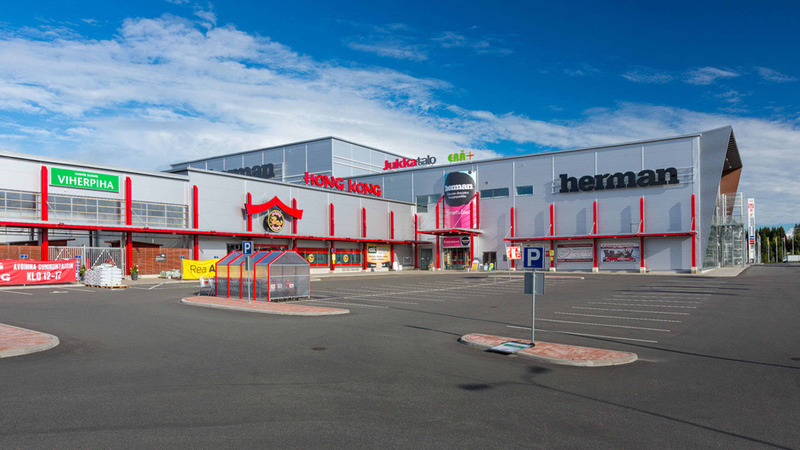 Herman is a high-quality shopping centre of more than 38,000 m2, focusing on home, interior decoration and free-time pursuits, by the busy Highway 5 in Kuopio. Herman is easy to reach by bus or car and features plenty of parking space.